• Robert Spencer: Muhammad Had “British Values”? • An extreme change in U.S. Government lexicon: In 2004, the 9/11 Commission Report used the words jihadist, Muslim, and Islam a total of 625 times, but the 2009 National Intelligence Strategy Report used the same words 0 times. So which is it, and what would the 2009 report call the group Islamic Jihad? Or Hizballah which means Party of Allah, or HAMAS which is an acronym for Islamic Resistance Movement, or Gama’at Islamiya which means Islamic Group? • Even in the case of al-Qaeda, Assistant Secretary for Homeland Defense Paul Stockton in this 2011 testimony clip refuses to agree they are “violent Islamic extremists”, they are simply “murderers”. 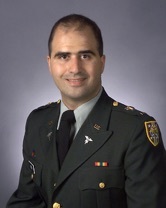 • Major Nidal Hasan, is a card carrying “Soldier of Allah” who shouted “Allahu akbar”, which means “my God is greater than yours”, as he shot 45 people killing 13 at Fort Hood in 2009, and earlier in the day was giving Korans away. Yet the Obama administration describes that incident in an 86 page report as only “workplace violence” with no mention of Islam, Hasan being Muslim, or Terrorism™ - even though 2 years earlier he presented a slide show to his supervisors and others while a senior year psych resident at Walter Reed Hospital called The Koranic World View As It Relates To Muslims in the U.S. Military, explaining the theological basis for something he called ”jihad”. “Workplace violence”, even though his mentor was the notorious American imam Anwar Awlaki, who was killed in 2011 by a U.S. drone missile in Yemen. 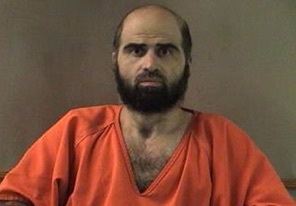 Falsely perceiving Muslims as innocent victims of Islamophobic™ hatred was fertile ground for everyone to “tip toe on eggshells” who saw Hasan’s presentation but didn’t say anything to prevent his promotion to Major and going to Fort Hood, and then for the U.S. government to conclude his motives had nothing to do with Islam. If you see his slide show you will appreciate how informed it is. In August 2013 he was convicted and sentenced to death, awaiting appeals. In 2/2015 congress finally changed the legal requirement of Terror™ which expanded the eligibility criteria for the Purple Heart, allowing families of victims to receive those benefits. • In 2014 another jihad attack was called “workplace violence” by the government. Here are 7 Reasons Why the Oklahoma Beheading Has Everything to Do with Islam. The same Brotherhood advising the US government (see Muslim Brotherhood), which is why Western leaders agree the Islamic State has nothing to do with Islam”, despite good evidence that all the Islamic State is doing - beheadings, crucifixions, massacres, sexual enslavements, and the subjugation of religious minorities - is rooted in Islamic theology, and so called denunciation by stealth jihad groups in the US on theological grounds are bogus. Here is video of Islamic State stoning woman to death for adultery, which Islamic law permits because Mohammad did it. Her father helped. Here is a video of a Jordanian pilot being burned to death, which Islamic law also permits. 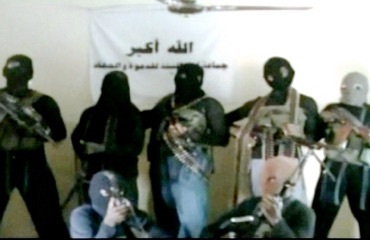 Boko Haram’s full name in Arabic is "Sunnis for Islamization and Jihad"
of a distinctly Islamic banner. Yet the MSM claims the group's goals are "unclear." “I want to be perfectly clear about this: training materials that portray Islam as a religion of violence or with a tendency towards violence are wrong, they are offensive, and they are contrary to everything that this president, this attorney general and Department of Justice stands for. They will not be tolerated. • In the wake of the 9/11/12 Bengazi attack that killed the US ambassador to Libya and 3 other Americans Obama blamed an obscure you tube spoof about Mohammad, and on 9/25/12 at the Untied Nations he sided with Islamic blasphemy laws when he said, “The future must not belong to those who slander the prophet of Islam”. • In the wake of the Hebdo cartoon murders, in January 2015 the Organization of Islamic Cooperation plans legal action against Charlie Hebdo for publishing blasphemous cartoons. • 2015: Pentagon: Taliban important partner in afghan reconciliation process. Then the U.S. embassy in Afghanistan says Pentagon spokesman “misspoke,” Taliban not a “partner”.